During a recent discussion of our work, one Earth Institute scientist mentioned that he was worried about the quality of the GPS built into Android devices. It is a real concern. Depending on the level of precision that your organization needs, Android hardware and software may not suit your needs. In this post, we will walk through the steps we took to test our devices. We hope that our documentation of this process will allow other organizations to conduct the same tests with their Android devices. We took our HTC myTouch 3G slide Android device and measuring tape out to the soccer field/football pitch near our office. With one person standing still, holding the end of the measuring tape and acting as a center point, another person turned on the area measurement app and walked in a circle around the central point, keeping the tape taught the entire time. After the walking person completed a full circle, he saved the reading from the device as a kml file. We repeated the process three times with the measuring tape set at five meters, and we then repeated the process nine more times, three times each using 10, 15, and 25 meters as our radii. Next we followed the same procedure with our Galaxy Tab 7.0. Once back in the office, we downloaded our saved kml files onto a PC and added the area of each file into our excel spreadsheet (see below). To increase of sample size, we went outside on another day and repeated the same procedure. Several parts of our process were very deliberate. We opted to measure a circular area rather than a square area because it is easier to walk an exact, measurable distance. We initially tried roping off a square and quickly realized that it was much too complicated to mark off true right angles. If you have a known area available (i.e. a regulation football pitch), you could easily use that instead of circle. Additionally, we chose 5, 10, 15, and 25 meter lengths as our radius after looking at average plot sizes in the area we are working. We have seen plot sizes that range from 200 m2 (0.05 acres) to 16500 m2 (4.08 acres), so we chose these radii to cover the lower end of that range. 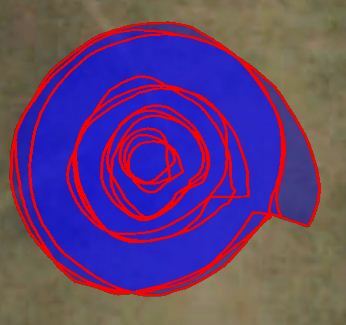 The circles’ calculated areas are 78.54, 332.28, 768.37, and 2007.57 m2 respectively. We did not run the test on larger areas for two reasons. We assumed that the % error on larger plots would be smaller. Small errors in the GPS recording should have a less significant effect on larger areas. 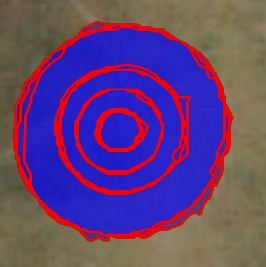 Creating a 16500 m2 circle requires a radius that is longer than 70 meters. Even at 25 meters the measuring tape was difficult to manage, so we ruled that out. Finally, there are several different ways that one could interpret the term “three test average.” Some might average the percent error found over the three tests, while others might average the areas found over the three tests. We chose the latter because we were curious to see if we could improve the accuracy of our area measurements by repeating the procedure more than once. In other words, would we get a more accurate area measurement if we measured a farmer’s plot three times and then averaged the three measurements we collected? To calculate our results we used this excel file (Click here to download). One sheet includes our findings. The other is a blank template in case your organization wants to run the same tests. If you do, let us know. We would happily post them here along with ours. 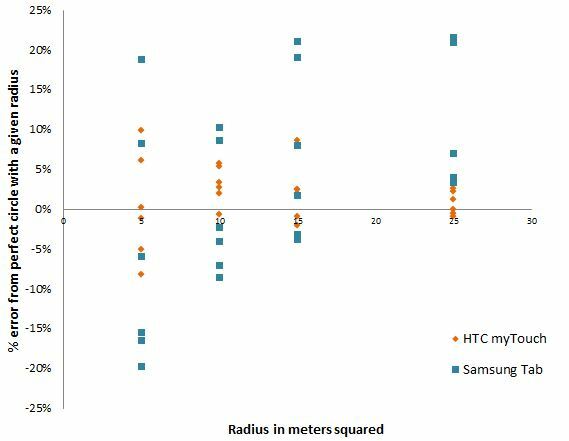 Our HTC myTouch device performed significantly better than our Samsung Galaxy Tab, although neither performed as well as we would like. 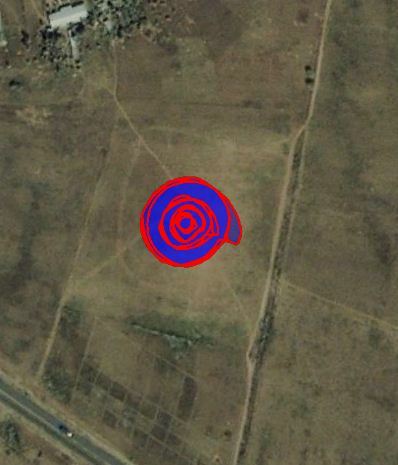 Exploring and developing new techniques to improve GPS-based area measurements on Android devices is high on our priority list, and we plan to post updates of our progress here. We wanted to share these views of our kml files because they visually demonstrate the different in recording quality between the two devices.